Probate Law: Does The Fiduciary Of An Estate Get Paid? August 30, 2011 /in Probate Law /by Daryle C. Tibbs Esq. https://tibbslawoffice.com/wp-content/uploads/2011/07/Legacy-Thumbnail-110717.jpg 267 400 Daryle C. Tibbs Esq. https://tibbslawoffice.com/wp-content/uploads/2016/02/logo-300x74.png Daryle C. Tibbs Esq.2011-08-30 15:23:002018-02-08 01:35:26Probate Law: Does The Fiduciary Of An Estate Get Paid? Probate Law: What If The Executor Of A Will Fails To Perform His Or Her Fiduciary Duty? August 29, 2011 /in Other Law Topics, Probate Law, Top 10 videos of 2018 /by Daryle C. Tibbs Esq. Top 10 Videos of 2018: #2 With 358 views during 2018, this video was the second most watched video of 2018.
https://tibbslawoffice.com/wp-content/uploads/2017/11/Misc-Lady-Liberty-110717-sm.jpg 267 400 Daryle C. Tibbs Esq. https://tibbslawoffice.com/wp-content/uploads/2016/02/logo-300x74.png Daryle C. Tibbs Esq.2011-08-29 15:22:002019-01-06 14:06:47Probate Law: What If The Executor Of A Will Fails To Perform His Or Her Fiduciary Duty? Probate Law: What If The Decedent Owned Property In More Than One State? August 28, 2011 /in Probate Law /by Daryle C. Tibbs Esq. https://tibbslawoffice.com/wp-content/uploads/2011/07/Legacy-Thumbnail-110717.jpg 267 400 Daryle C. Tibbs Esq. https://tibbslawoffice.com/wp-content/uploads/2016/02/logo-300x74.png Daryle C. Tibbs Esq.2011-08-28 15:22:002018-02-08 01:39:25Probate Law: What If The Decedent Owned Property In More Than One State? Probate Law: What Is A Bond? August 27, 2011 /in Probate Law /by Daryle C. Tibbs Esq. https://tibbslawoffice.com/wp-content/uploads/2011/07/Legacy-Thumbnail-110717.jpg 267 400 Daryle C. Tibbs Esq. https://tibbslawoffice.com/wp-content/uploads/2016/02/logo-300x74.png Daryle C. Tibbs Esq.2011-08-27 15:21:002018-02-08 01:41:15Probate Law: What Is A Bond? Probate Law: What Is An Administrator Or Administratrix? August 26, 2011 /in Probate Law /by Daryle C. Tibbs Esq. https://tibbslawoffice.com/wp-content/uploads/2011/07/Legacy-Thumbnail-110717.jpg 267 400 Daryle C. Tibbs Esq. https://tibbslawoffice.com/wp-content/uploads/2016/02/logo-300x74.png Daryle C. Tibbs Esq.2011-08-26 15:20:002018-02-08 01:43:03Probate Law: What Is An Administrator Or Administratrix? Probate Law: What Is An Executor Or Executrix? August 25, 2011 /in Probate Law /by Daryle C. Tibbs Esq. https://tibbslawoffice.com/wp-content/uploads/2011/07/Legacy-Thumbnail-110717.jpg 267 400 Daryle C. Tibbs Esq. https://tibbslawoffice.com/wp-content/uploads/2016/02/logo-300x74.png Daryle C. Tibbs Esq.2011-08-25 15:19:002018-02-08 01:45:17Probate Law: What Is An Executor Or Executrix? 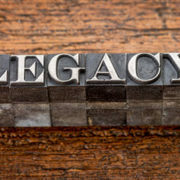 Probate Law: As A Fiduciary, What Should I Do To Prepare For Seeing The Estate Attorney? August 24, 2011 /in Probate Law /by Daryle C. Tibbs Esq. https://tibbslawoffice.com/wp-content/uploads/2011/07/Legacy-Thumbnail-110717.jpg 267 400 Daryle C. Tibbs Esq. https://tibbslawoffice.com/wp-content/uploads/2016/02/logo-300x74.png Daryle C. Tibbs Esq.2011-08-24 15:17:002018-02-08 01:47:44Probate Law: As A Fiduciary, What Should I Do To Prepare For Seeing The Estate Attorney? Probate Law: How Long Does The Administration Of An Estate Take? August 23, 2011 /in Probate Law /by Daryle C. Tibbs Esq. https://tibbslawoffice.com/wp-content/uploads/2011/07/Legacy-Thumbnail-110717.jpg 267 400 Daryle C. Tibbs Esq. https://tibbslawoffice.com/wp-content/uploads/2016/02/logo-300x74.png Daryle C. Tibbs Esq.2011-08-23 15:29:002018-02-08 01:49:47Probate Law: How Long Does The Administration Of An Estate Take? Probate Law: What Are The Duties Of The Executor? Probate Law: What Are TheDuties Of An Executor? https://tibbslawoffice.com/wp-content/uploads/2011/07/Legacy-Thumbnail-110717.jpg 267 400 Daryle C. Tibbs Esq. https://tibbslawoffice.com/wp-content/uploads/2016/02/logo-300x74.png Daryle C. Tibbs Esq.2011-08-23 15:16:002018-02-08 01:51:24Probate Law: What Are The Duties Of The Executor? 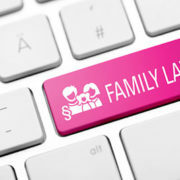 August 15, 2011 /1 Comment/in Family Law, Original Posts /by Daryle C. Tibbs Esq. Quoting Ohio Revised Code Â§ 3105.18. – Award of spousal support; modification. (A) As used in this section, “spousal support” means any payment or payments to be made to a spouse or former spouse, or to a third party for the benefit of a spouse or a former spouse, that is both for sustenance and for support of the spouse or former spouse. “Spousal support” does not include any payment made to a spouse or former spouse, or to a third party for the benefit of a spouse or former spouse, that is made as part of a division or distribution of property or a distributive award under section 3105.171 [3105.17.1] of the Revised Code. (B) In divorce and legal separation proceedings, upon the request of either party and after the court determines the division or disbursement of property under section 3105.171 [3105.17.1] of the Revised Code, the court of common pleas may award reasonable spousal support to either party. During the pendency of any divorce, or legal separation proceeding, the court may award reasonable temporary spousal support to either party. (F) For purposes of divisions (D) and (E) of this section, a change in the circumstances of a party includes, but is not limited to, any increase or involuntary decrease in the party’s wages, salary, bonuses, living expenses, or medical expenses. (G) If any person required to pay alimony under an order made or modified by a court on or after December 1, 1986, and before January 1, 1991, or any person required to pay spousal support under an order made or modified by a court on or after January 1, 1991, is found in contempt of court for failure to make alimony or spousal support payments under the order, the court that makes the finding, in addition to any other penalty or remedy imposed, shall assess all court costs arising out of the contempt proceeding against the person and shall require the person to pay any reasonable attorney’s fees of any adverse party, as determined by the court, that arose in relation to the act of contempt. (H) In divorce or legal separation proceedings, the court may award reasonable attorney’s fees to either party at any stage of the proceedings, including, but not limited to, any appeal, any proceeding arising from a motion to modify a prior order or decree, and any proceeding to enforce a prior order or decree, if it determines that the other party has the ability to pay the attorney’s fees that the court awards. 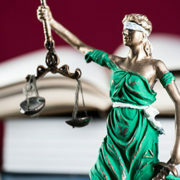 When the court determines whether to award reasonable attorney’s fees to any party pursuant to this division, it shall determine whether either party will be prevented from fully litigating that party’s rights and adequately protecting that party’s interests if it does not award reasonable attorney’s fees. Determining whether spousal support will be granted is largely within the court’s discretion but is generally predictable to an Ohio licensed attorney. Determining how much spousal support a court might grant in any given situation is much more difficult for the parties to predict. Ohio has created a helpful child support computation worksheet to predict how much a party will pay or receive in child support; however, no such computation worksheet exists for spousal support (at least not one that is generally accepted or used by the courts). Arguments can and have been made that the Ohio Child Support Computation worksheet produces results that are unfair to one or both of the parties, but at least it is a starting point for determining child support. I for one would like to see Ohio create a spousal support computation worksheet to be used in all divorce/dissolution cases. However, until this happens, the parties are left to their own devices. I have prepared the following guidelines that I hope will help parties determine if spousal support is warranted, and if so, how much. In reviewing these tips, please remember that spousal support was created to help compensate one party for their contributions to the household and to make sure, where there is enough income, the state would not be left to pick up the tab for the other party and the children. Obviously things have changed, but try to remember the spirit in which these laws were created. * As a general rule, spousal support may be considered an option if one of the parties has disposable income, which generally means that he/she makes over $55,000 per year or more. *In addtion, spousal support may be granted if the other party makes approximately half ($27,000 per year) or less than the other party. * Remember that contrary to child support, spousal support is considered income for the party receiving it and is tax deductible for the party paying it. This means that if you are on the receiving end, if you have the option, you should negotiatiate to get more money in child support and less in spousal support. If you are on the paying end and you have the option, you should negotiate to pay more in spousal support and less in child support. Hopefully, these tips are helpful as you assess your own situtation and prepare for a divorce or dissolution.